The Clinique skin care line was developed in 1968. The brand, founded by The Estee Lauder Companies, Inc., is a leader in the beauty industry and sold in over 130 countries and territories. In addition to skin care, the company also produces prestige makeup and fragrance products. Under the guidance of a team of dermatologists, Clinique continually develops an ever-growing collection of gentle, allergy-tested and fragrance-free products. Available in the classic bar and the newer liquid formula, Clinique's facial soap cleanses without stripping the skin of protective and necessary lipids. An ultra-mild version is available for those with extremely sensitive skin. Clinique refers to this exfoliating toner as the "difference-maker." Applied with a cotton ball and swept lightly over the face and throat, it gently releases dead skin cells and dull flakes, revealing a vibrant complexion and natural glow. The famous yellow moisture "drink" is the Clinique skin care line's claim to fame. Available in a rich cream and a new, oil-free gel formula, this moisturizer acts as a double agent: as it softens, it also protects the skin's integrity, making it less susceptible to external aggravation. Anti-Aging: A collection of hand, lip, eye and facial skin care products designed to combat the appearance of lines, brighten and hydrate dull skin, enhance natural collagen levels and replenish antioxidants. Acne: A collection of medicated, moisturizing and cleansing products specially formulated for acne-prone skin. CX: Addressing the unique needs of irritated, vulnerable skin, this Clinique skin care collection provides comfort and heals redness and irritation. Derma White: A collection designed to brighten and illuminate skin from within, breaking down dark spots in the process. Pores: Refining, reducing and unclogging pores, this skin care collection is lightweight and oil-free. Special Care: This collection targets the multitude of maladies that afflict the skin at any given time. Soothers, hydrators, renewing agents and inhibitors work to heal and repair the skin gently and effectively. Removing makeup at the end of the day doesn't have to be a chore, but it "is" a necessity in order to maintain clear, healthy, vibrant skin. 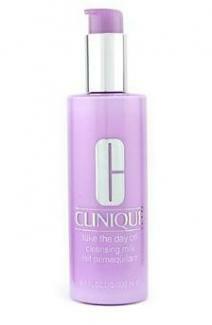 Clinique skin care offers a collection of cleansers, which make it a breeze to take the day off. Take the Day Off: Available in milk, balm and the classic oil-based formula, this cleanser efficiently removes even the most stubborn makeup. A swipe of an oil-soaked cotton ball will quickly remove waterproof mascara, for example, while a quick milk massage will vanquish any trace of long-wearing foundation in a snap. Rinse Off: The Rinse Off Foaming Cleanser and Eye Makeup Solvent are ideal for all skin types. Gentle: The Extremely Gentle Cleansing Cream and Naturally Gentle Eye Makeup Remover treat sensitive skin with care and comfort. Wash Away: Designed for oily skin, the cool blue Gel Cleanser is a concentrated foam that easily removes makeup while soothing the face. Club Clinique is a members-only group offering customers exclusive benefits and special offers. Available online, the membership offers complimentary samples, limited-time promotions and access to Clinique Lab Reports, among other benefits. Clinique skin care users receive free shipping with the purchase of two 3-Step Skin Care products. 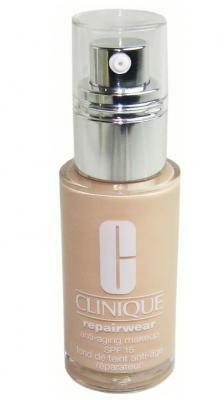 Clinique is a mainstay at fine department stores across the United States and around the world. It is also available online at the brand's company web site, as well as cosmetic retailers Sephora and Macy's. 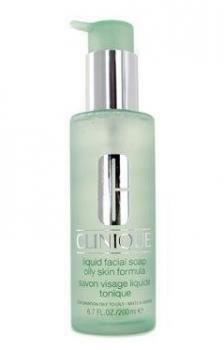 The Clinique skin care line is readily available at most of these establishments.